While some women are lucky enough to make it through their periods with little to no pain, there are many who struggle with debilitating cramps, making it difficult or even impossible to get through a normal day. 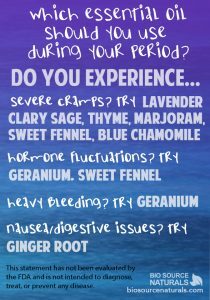 Finding natural pain solutions can be tricky, but essential oils for menstrual cramps can be a huge help! Discover which essential oils will work best for you. In a recent study, women taking thyme essential oil reported less pain than women taking ibuprofen. * Traditionally used as a pain reliever! External use only. Dilute with a carrier oil before applying. 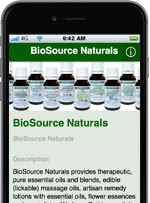 For those who only choose certified organic, see our full line of organic essential oils here.